What's in the box that Meredith has carried into the living room? Buddy doesn't know, but when the small, prickly creature says he is a pirate -- and that Buddy is a pirate too -- the mismatched friends are off on a grand adventure. 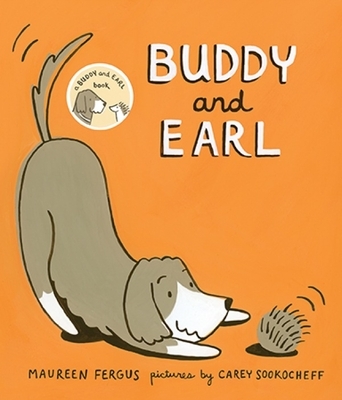 In this first book in the best-selling Buddy and Earl series, a dog who likes to play by the rules meets a hedgehog who knows no limits. Their friendship is tender and loyal, and their adventures are funny and imaginative. Maureen Fergus's text is witty and understated, and Carey Sookocheff's art emphasizes both the humor and the warmth of this odd and loveable animal couple.